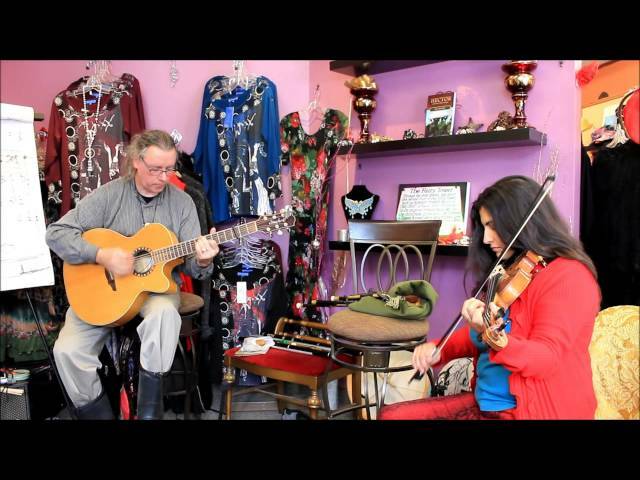 Tip $50 and get we will write you a tune - irish-style! springintosummer: OH yeah: Taimse Im. Chodladh. Had to look that one up! Love what you're doing now too! Wilfred: This is so much fun. springintosummer: Do you know that song by PHil Cunningham and Ali....?? Spring the Summer Long? I'm getting a glass of wine! THis is FANTASTIC! Momo: It's wonderful so far! Wilfred: Cheers..... Beer on the go here... Plus turkish red lentil soup. springintosummer: OH BOY!!! Love the Pipes! springintosummer: Faaantastic! Yes will look for the words for Taimse. Playing along with my new La Patrie. Anyone else playing along? springintosummer: Lovely! D and AM? springintosummer: La Patrie guitar made in QUebec. springintosummer: Can't see your fingers Stefan. springintosummer: 2nd hand off Kijiji. Classical. Wonderful! Ok I'm not that good, will watch this one. springintosummer: WOW! Ok time for Bodrhan solo from your good looking son! kathryn durst: loved that last tune! springintosummer: Fantastic Oisin! YOu are so talented! Spootiskerry? springintosummer: WOW! Nicely sung! What is that called again? And request: Spootiskerry or anything by Brian Pickel. Wilfred: +1 for a Brian Pickel tune. springintosummer: YES! Love that one! Wilfred: I wish I was with Elisa so that we could waltz around the living room. springintosummer: That would be great!! Love to play along, it's fun! Yes I will send a list next time! PMK: Lovely! Technical issues aside. Thanks for the visit. It sure beat the 3 hour drive!! Wilfred: Glad you cannot hear me destroying a lovely tune. Wilfred: Thank you. You made my evening. springintosummer: Really enjoyed this, will tell my friends here in Kingston. The music was amazing! You guys were amazing! Thank you so much, I look forward to next time! Really happy to find a way to experience the music from the comfort of home -- I expect more and more people will take the opportunity to join you in your livingroom from all over Canada, and the world. Wonderful sound! 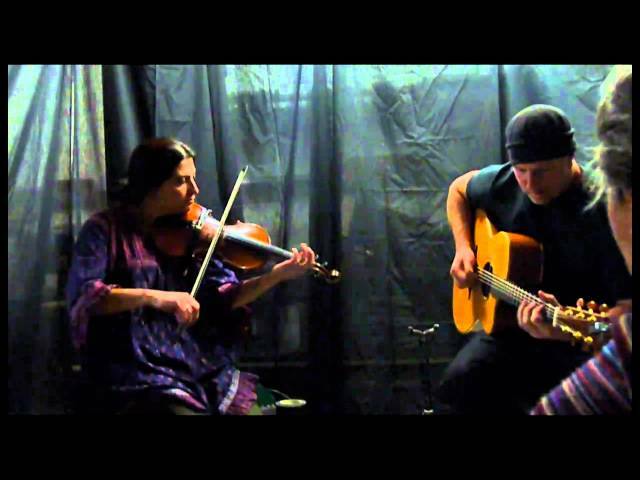 Mp3 download of Steafan & Saskia's album "Moorchild"
We will write you a tune - irish-style! Saskia Tomkins plays Violin, Viola and Nyckelharpa. She is from the UK, and moved to Canada in 2007 with her family, bringing with them a wealth of musical talent and experience. 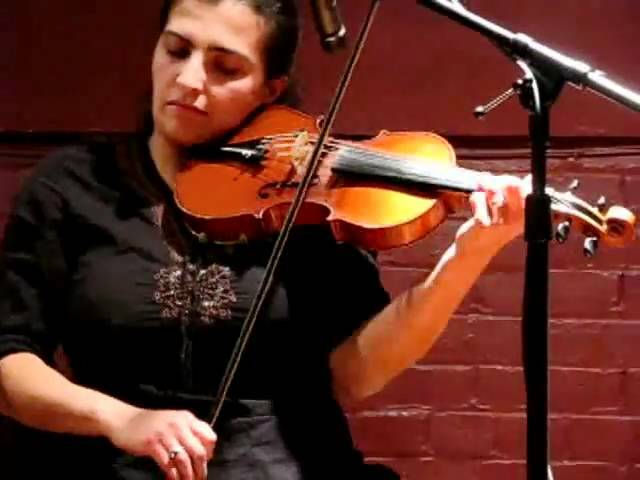 Saskia’s musical abilities on bowed strings are wide ranging, from classical to celtic, to gypsy-jazz, to songwriter accompaniment. She has played with countless artists in many genres, including Uriah Heep’s 30th anniversary concert, improvising with dancers at Sadler’s Wells Theatre in London and learning cello for Michael Bogdanov and the English Shakespeare Company. She has recorded on over 60 albums for other artists and several out with her own groups. Currently, Saskia works as the bowed strings musician at 4th Line Theatre, is principle viola in the Northumberland Orchestra, part of the Celtic trio “Cairdeas” and ½ of the instrumental duo “2ish”. She also performs with her husband and children as “Clan Hannigan”. She is a well respected teacher of the violin and viola - both private and group lessons, and loves to play at parties and weddings!